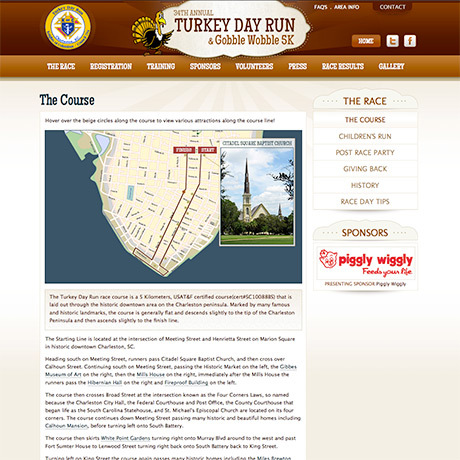 The annual Turkey Day Run & Gobble Wobble set an attendance record for the eighth straight year, reaching its goal with 6,052 registrants before the gun fired at 9 am on Marion Square.This race has grown every year and director Rob Willis is excited to have crossed the 6,000-runner threshold this past year. The annual 5K also set a new record with 5,616 runners and walkers crossing the finish line. 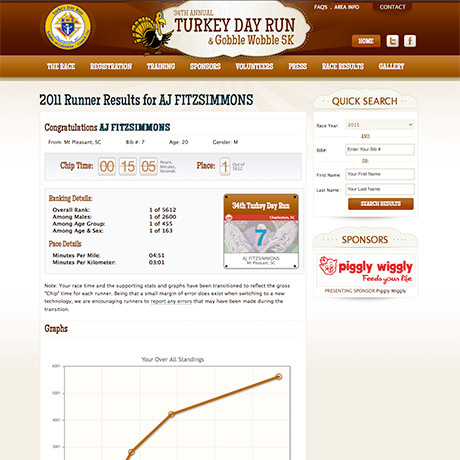 The 5,308 that finished the race last year catapulted the race into 28th nationally among 5Ks and made the Turkey Day Run & Gobble Wobble the largest of its kind in the state.